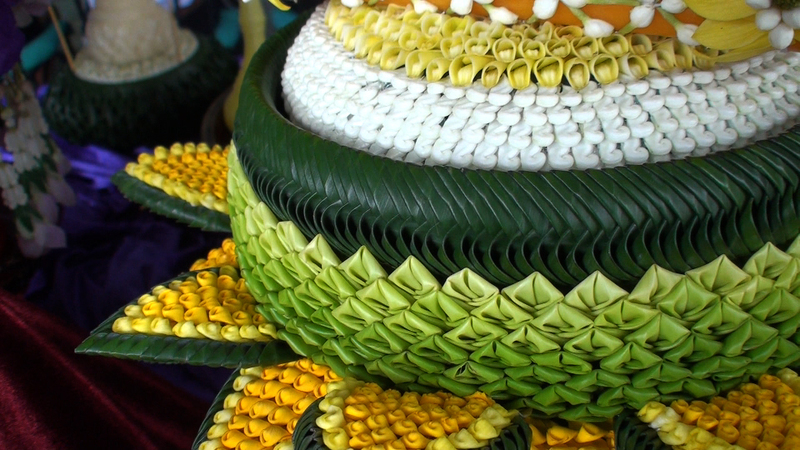 To take a break from translating and transcribing interviews, I wanted to share a few more photos from our shoots about banana-leaf art in Thailand. This photo is of college students struggling to carry a giant banana-leaf “Bai Sri” up a spiral staircase without damaging it. With every ornate element completely hand-made, it can take a class of 20 students three days and two nights (non-stop) to make a “Bai Sri” of this size.